Once again, EYEOUT received many applications for the Blogger Residency in conjunction with abc this year. Julia Hartman and Joseph Fuller have been selected to report on abc for EYEOUT. Julia Hartman studied Art History and English in Graz (Austria). In her blogJules and Art she primarily writes about young, no yet established artists. A special area of interest for Julia is Chinese contemporary art in comparison to western art. Joseph Fuller lives in London and studied art and film in Oxford. Writing forms the core of his creative practice, both in terms of his own work, as well as independent reflections on the work of other artists. Joseph recently returned from a 18-month stint in Mumbai (India) where, alongside his own projects, he worked for artists and galleries. We’re pleased to welcome Julia and Joseph to Berlin and are excited for their contributions about abc, which will be published daily here – in the abc Journal, as well as on EYEOUT’s blog. In the app you’ll find information about abc with selected highlights from the program. 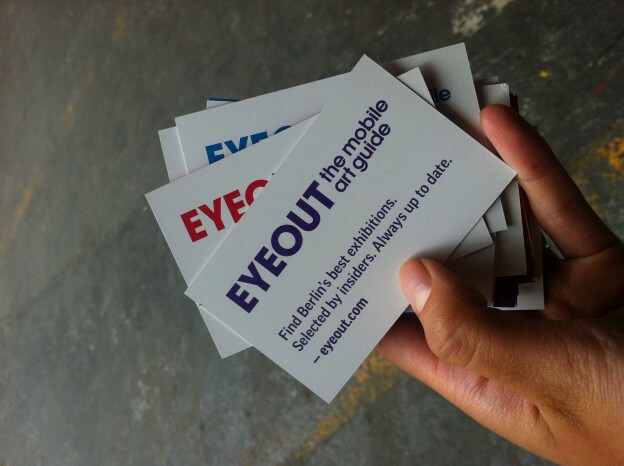 EYEOUT Berlin is available for free in the App Store until Sunday, 22 September.